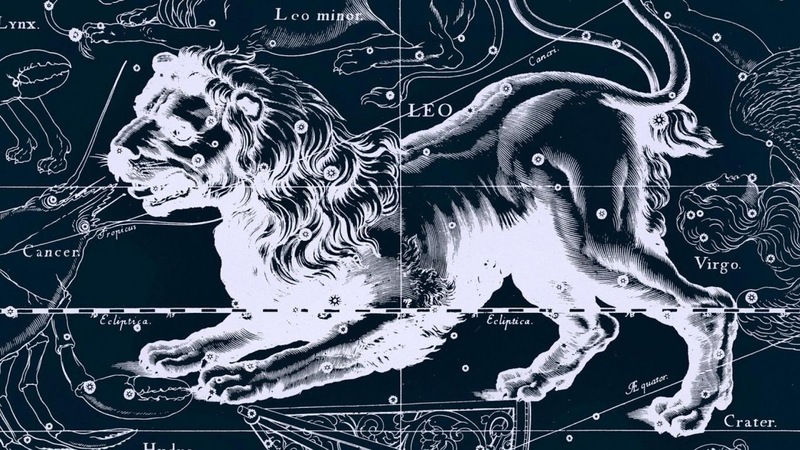 It’s a 22 day, a master number associated with the end of a cycle and divine creation and also auspiciously the first day of Leo. Number 22 is considered a master "builder" number, as it is 11, another master number, multiplied by two but with its energetic power magnified by four. We can dig deep and find all sorts of interesting references about this number, here are a few. Each of us will be attracted to different items on this list depending on where we stand and our belief systems. I tend to like to observe these things and then put the ones that resonate and feel most authentic into my magical backpack. "The 22 elements by which God created the world. At his Ascension, by twenty-two times Jesus blesses the creation. The Word of God is at the 22th level of conscience. The cosmic conscience would subdivide indeed into 24 dimensional or spiritual levels. The maximal conscience level, the 24th, would be attributable only to the God-Father and the 23th level would be considered as being an energy protective area surrounding the level 24. The 22th level of conscience would be also that of the antique Elohim also named the 24 Ancients. 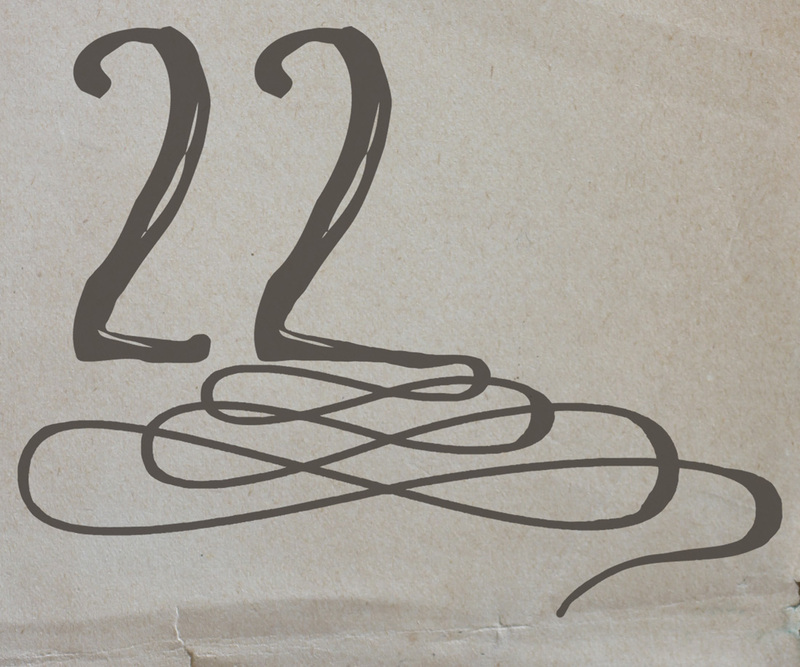 Twenty-two is the number of biblical books of the Old Testament - Hebrews and Protestants. This number is obtained by counting for only one book the twelve minor prophets, as well as the Judges, the Kings, Ezra, the Chronicles (each one being generally divided into two books). It is also necessary to integrate Ruth with the Judges and the Lamentations with Jeremiah. 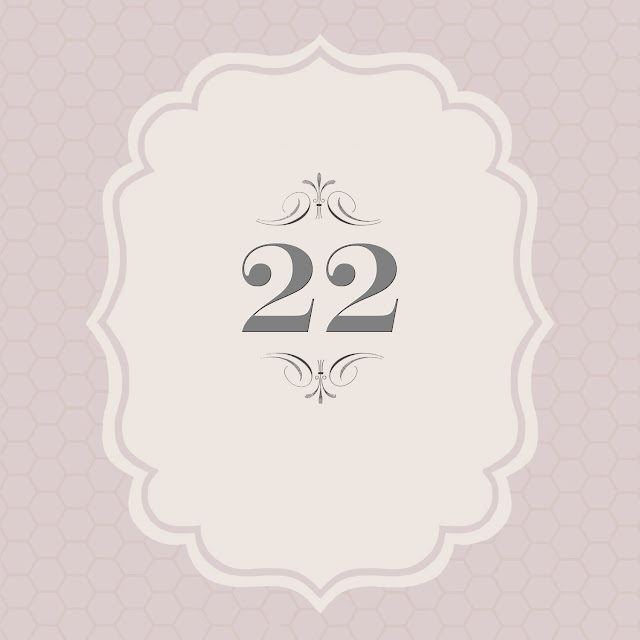 And it is thanks to this last restriction that we obtain finally 22 instead of 24. Flavius Joseph (Against Apion, I, 8, 1st s.) is the first one to have proposed a distribution in 22 books. The Mezuzah contains fifteen verses of the last book the Old Testament, the Deuteronomy, VI, 4-9 and XI, 13-21, for a total of 170 words, always written in 22 lines. This small roll is inserted in a tube of wood or metal and is attached to the superior right side on the frame of a door, according to the commandment of the Bible: "And you will write them on the frame of the door of your house" . The 22 prayers ("Yeshts") of the "Khorda-Avesta". For the Muslives, the Koran is the recording of the oral revelation authorized by the grace of God to the Prophet of Islam during almost 22 years, in the beginning of the seventh century of the Christian era - from 610 to 632. According to S. Doucet and J.-P. Larosee, the man is composed twenty-two evolutionary bodies gathered in four categories: subtle body, energy body, galactic body and temporal body. Each one of these 22 bodies is formed of 1296 "partitions" that they call circumferences, vibrating each one at a precise frequency. This number 1296 is called "Energizing number", since it is the product of 12 (Cosmic number) and 108 (Universal number). By multiplying 22 by 1296, they obtain the total number of 28512 circumferences composing the 22 evolutionary bodies of the man, that is according to them the number of the man and also that of Infinite Energy. Several old alphabets had twenty-two letters: Chaldean, Sabean, Roman, Copt and Hebraic. The letters of the Hebraic alphabet are divided into three mother letters (Aleph, Mem, Shin), seven double letters (Beth, Guimel, Daleth, Kaph, Phe, Resh, Tau) twelve simple letters (He, Waw, Zain, Heth, Teth, Yod, Lamed, Nun, Samekh, Ayin, Tzade, Qoph). According to saint Yves of Alveydre, the primitive alphabet of all the humanity, at the period of "Ram" (adam alphabet or "Watan"), would have comprised 22 signs. Salemi points out that the Hebrew Candelabra includes 22 chalices, 22 apples and 22 flowers by counting the point superior of the axis. The 22 cards of the Tarot - 22 mysteries major. The Cosmos would shelter 22 Super-Universe. The totality of mystical knowledge is contained in the symbolic of the first twenty-two numbers, according to Bambaras. The twenty-two channels linking the ten "Sephiroth" between them in the "sephirotic Tree" of the Cabal. According to some mediumnic revelations, it would exist 22 main stars where all the entities will pass to achieve the complete cycle of their evolution. Twenty-two is the number of writable regular polygons in an Euclidiean circle: 3, 4, 5, 6, 8, 9, 10, 12, 15, 18, 20, 24, 30, 36, 40, 45, 60, 72, 90, 120, 180, 360. These are twenty-two of the twenty-four dividers of 360, the two first, 1 and 2, not defining polygons. Length of the cubit in number of fingers, for Bambaras, which corresponds to the totality of the categories of the creation: this cubit from Bambaras represents therefore the universe. Number of total stars of which is composed the Little Bear. However, only seven of them are visible to the naked eye. 22 divided by 7 gives the number "pi", which represents the mysterious and approximate ratio of the perimeter of a circle to its diameter.